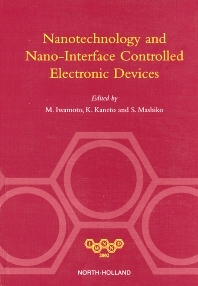 This book deals with topics such as single molecular electronics and photonics, NICE devices, smart soft materials, interfacial dynamic technology, and fabrication and characterization technology. Foreword. A. Single molecular electronics and photonics. Nanostructure fabrication using electron and ion beams (S.Matsui). Information storage using a scanning probe (K. Takimoto). Single electron tunneling organic devices (T. Kubota, et al). Spatial light confinement and laser emission from a gain medium containing dendrime (S. Yokoyama, S. Mashiko). Control of molecular selective assembling on metal surface (T. Yokoyama). Polymer optoelectronics towards nanometer dimensions (O. Inganas, F. Zhang). Control of charge transfer and interface structures in nano-structured dyesensitized solar cells (S. Yanagida, et al.). Materials and devices for ultrafast molecular photonics (T. Nagamura). Carrier transport behaviors in organic LED (T. Mizutani, T. Mori). Electrical characterization of organic semiconductor films by in-situ field-effect measurements (K. Kudo). Introducting ruber into the Langmuir-Blodgett technique (H. Xu, et al.). Design of functional interface between living systems and semiconductor nano-structures (M. Tanaka). Structural colour forming system composed of polypeptide-based LB films (T. Kinoshita, et al.). Generation of strong dipole layer and its function by using helical peptide molecular assemblies (S. Kimura, et al.). Explanation of the static and dynamic director orientation in thin nematic liquid crystal films using deuterium NMR spectroscopy (A. Sugimura, G.R. Luckhurst). SHG-MDC Spectroscopy of organic monolayer film (A. Tojima, et al.). Light-driven dynamic controls in nano-hybrid materials (T. Seki). E. Fabrication and characterization technology. Solvent-induced morphology in nano-structures (B. Cheng, et al.). Polarons in conjugated polymer and its composite with fullerene (K. Marumoto, S. Kuroda).